Princess Pea has been into learning letters for a while now. We don't really do anything to actively teach them to her, but when she asks about them we talk about words, letters and their sounds. One of her favourite mealtime games these days is guessing the first letters of words. She's pretty good at some ('b' and 'p' are the easiest for her), and others she's still far from mastering. But we have fun playing along. This week she's been busy writing a lot. She tells me she's writing thank-you notes for the presents she'll receive at her upcoming birthday party (! Not sure if I should be impressed with her for being so thoughtful - and organised - as to pre-emptively write thank you notes, or if I should be mortified that she is focusing on the presents already!). Anyway, she's been asking me a lot about the first initials of her friends' names, and trying to figure them out on her own as well. Of course, other than a few letters, she can't actually write anything recognisable. After reading this post from Christie at Childhood 101, to help Princess Pea along with her notes, I thought I'd make her some alphabet stencils. It seemed like a good way to connect her interest in beginning sounds and letters with writing her thank you notes to her friends. Instead of regular stencils where you draw inside the letters, though, I thought it might be easier for her to draw around the letter shapes. She loves drawing around her hands these days, and was very proud of her ability to draw and cut around the heart templates we used for her Valentine's cards this year, so it seemed like a method that would appeal to her. So I got an empty cereal box and wrote out the letters of the alphabet in fat block writing. They're not perfect, but they're fine. I cut them out for her to use as templates to draw around. Even though they are so simply made, she's so impressed with them! She's been playing at writing random letters all over the place, as well as trying to figure out the initial letter of a particular word she wants to write, playing with the sounds on her tongue, then finding the correct letter in the set to draw around. Woohoo! 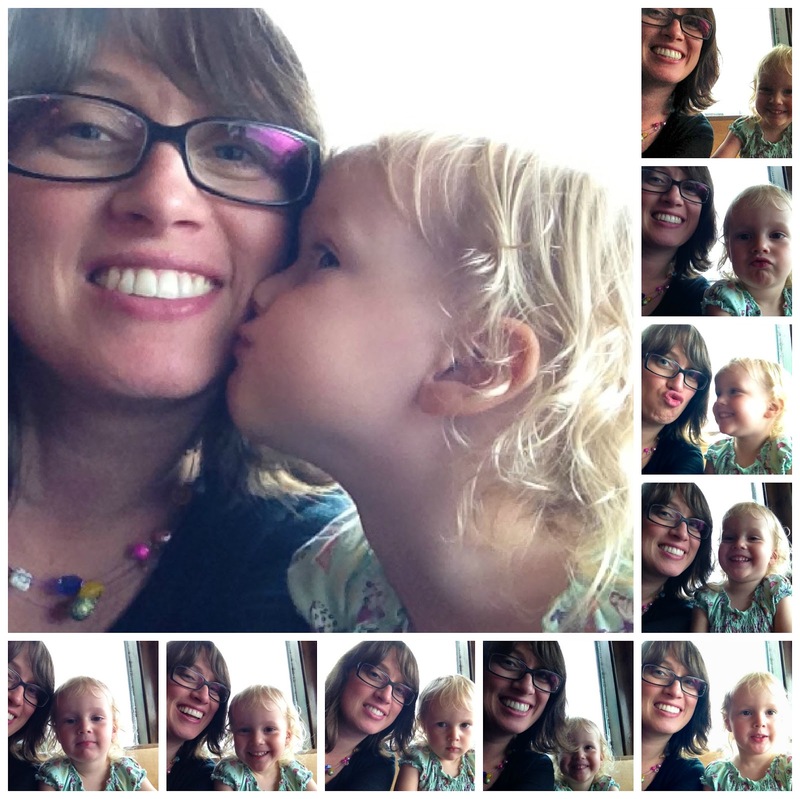 We have a winner for our summer crafts book giveaway! Princess Pea enjoyed picking out the winning name. In truly low-tech fashion, I wrote each entry on a piece of paper, put them in Sweet Pea's shape sorter box, and Princess Pea pulled out the winning one. She opened it up and did her best to tell me the first letter of the name. (It was a hard one. She didn't know it.) After that, she wanted to open all the names to try to read the first letters. Anyway, on to the important stuff! 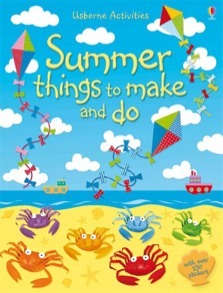 The winner of the Summer Things To Make And Do book from Usborne independent representative Maria Laza is ..... (drum roll) ... Tkatka! Congratulations! Tkatka, please send me an email by Wednesday, June 1st, with your full name and mailing address to forward to Maria, and she will ship the book to you. My email address can be found in the tab up top under 'contact'. Yay for Tkatka! Yay for books! Yay for summer! And Yay for Maria for donating this wondeful book to give away! If you live in Hungary and are interested in hosting an Usborne book party like I did, please contact Maria. She also holds book sales for schools and organisations. She has a great selection and also places custom orders for individuals. She can tell you everything you need to know and do to hold a sale or book party, and you also get free books as host! (or, in the case of a school, the school library gets free books.) It's also a fun excuse to throw a party! ;-) I'm sure I'll be doing another one next year! This week we've had lovely summery temperatures, intermingled with short, frequent thunderstorms. One day this week I was trying to decide whether or not we should go to the playground after naps. It was hot and sunny, but there were dark clouds hanging in the air not far away, and thunder rolling intermittently in the distance. This waiting-in-limbo went on all afternoon, making it a difficult decision - do we stay or do we go? In the end, we compromised. Instead of going out to the playground, we set ourselves up for some outdoor play on the balcony, allowing for a quick getaway indoors if needed. Sweet Pea loves to wash things these days, so I got out the tub of water on the balcony again, and this time I put out a bucket of animals for her to bathe. At first she tentatively tested out the water with her hand. Then in went the tiger for his bath. Then Princess Pea woke up from her nap and came out to join us. Her first reaction was to step right into the bucket. So Sweet Pea washed her feet for her. What a nice sister. Next some tools came out for scooping up water and throwing it over the balcony (fortunately, the downstairs neighbours weren't home!). Then, while Sweet Pea experimented with pouring, Princess Pea experimented with dipping her hair in! Pretty soon all the outdoor toys came out and ended up in there. They worked as quite a good team - Sweet Pea rummaged around the basket, pulling out toys, and Princess Pea washed them (or used them to stir the water, as was the case with the golf clubs). With all the splashing going on, it wasn't too long before the bucket I'd brought out the animals in became its own little water play tub too. And, of course, the inevitable. This time I was better prepared though! Our Week Outdoors has been a regular feature here at MPP for a while now. 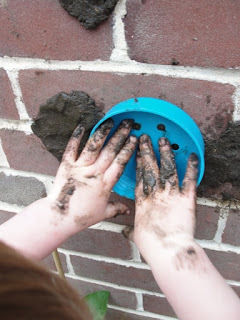 To see my other outdoor play posts, click here. 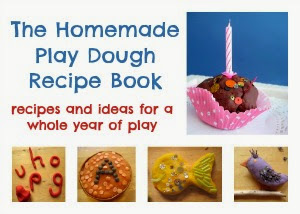 Now, on to the Outdoor Play blog hop! There were lots of fun entries last week! Thanks to everyone who participated! My favourite shared post was this one from Sunhats and Wellie Boots. They decided to 'just add water' too, and they got ... mud! This kid is truly my hero - she loves to get messy! 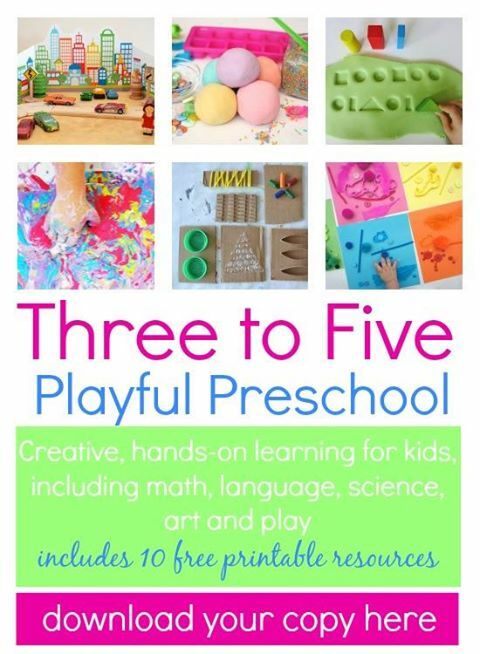 I adore this post because it shows exactly how children explore, experiment, discover and learn when left to their own playtimes! So, now it's your turn to share! > Please do not share any competitions or promotions. > Each week will we feature an activity from the previous week. By contributing you are giving permission for an image and link to your post to be republished. 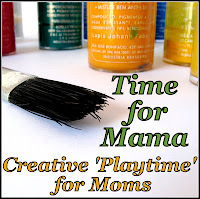 Today I'm guest posting over at the Budapest Moms' website. Head on over there to find out why we love living in Budapest and some of the things we love to do here with our little peas! Anyone who knows me (or who really reads my blog a lot!) knows that I am not so fond of the kitchen skills - cooking and baking are really not for me! I do bake now and then; cookies, brownies, cakes, but I (almost) always use a mix! However, I saw this post at Little Wonders' Days linking to a recipe for strawberry cupcakes with strawberry icing. Since Princess Pea's birthday party is coming up in a couple of weeks and she has requested a Strawberrry Shortcake themed party, I thought I'd give this recipe a try as a possible birthday cupcake idea. Anyway, we did it, it was so easy (! ), and these might just be the best cupcakes I've ever eaten! Princess Pea reckons she's the "best baker that ever lived in the whole world, ever!"